The website of this casino is stylish and very convenient to use - you won’t get lost here even if you try very hard. There is a currency exchange fee which applies in case you use not EUR, but another currency. The fee is 1.5%. You will find there over 700 games from top software developers like Microgaming and NetEnt. They are not the only providers here, but their presence says a lot about the quality of the casino’s library. Here you are able to try a collection of diverse slots (progressive slots are offered as well! ), video poker, table games, live games, poker, sports betting, and live betting. Everyone will easily find something to their taste here. As a newcomer, you can get a 100% welcome bonus up to €100. 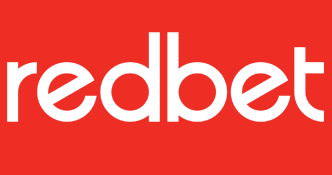 The minimum deposit is €20, and the Redbet Casino bonus code to use is “WELCOME”. The bonus amount must be wagered 35 times, which is fine, and the wagering requirements must be met within 30 days. Some games are excluded from the promo, so check the bonus conditions carefully. The maximum allowed bet is €2 per spin or €0.2 per betting line. Redbet Casino offers enough banking methods to choose from. They are Neteller, Skrill, credit and debit cards, and numerous direct bank e-payment options. Mastercard and Paysafecard are available only for making deposits. The minimum deposit amount is €10. The minimum withdrawal limit is a bit higher - €20. The maximum limits depend on the chosen method - certain methods even have no limits! The withdrawal time also depends on the method. Check the casino’s website to discover more details.